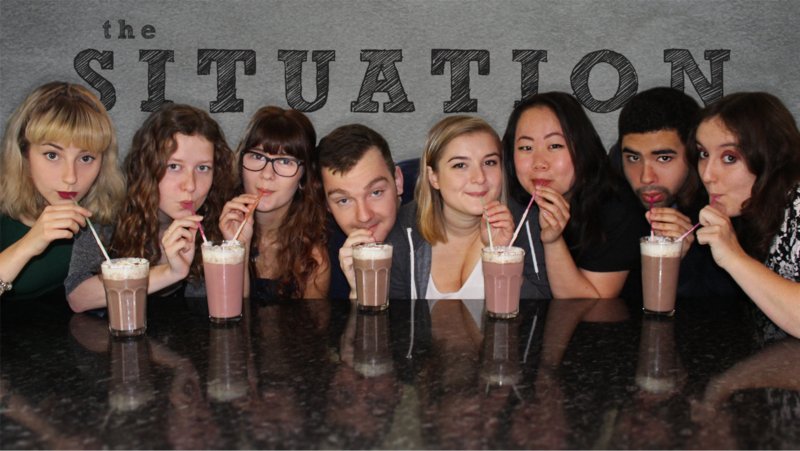 We're a small film crew aiming to raise £2,300 to fully fund our short film, 'The Situation', about a sitcom fanatic who awakes to realise his life has become one and must find a way to escape. As soon as our writer pitched this idea to us, we were hooked! Being involved in such a unique project provides us with exciting new challenges in bringing this story to life and capturing Todd's wacky journey. We really need your help to create Todd's surreal sitcom world and make this film a reality. Not only will your support be hugely appreciated by us, but it will enable our team to build a full size apartment set, allowing us to capture a truly heightened experience when Todd awakes to find himself in the world of the sitcom. This is a unique project which uses both single camera and multi-camera techniques, but we need YOUR help! Filming will take place both in an actual location and within a set built and designed specifically for this project, thanks to your generosity. Due to the unusual nature of the varying surroundings and filming techniques, this will be a fun and daring project to work on that can't happen without help from you! We're excited to embark upon this journey with you of creating a unique and exciting film that plays upon a genre everyone is so familiar with. Each member of our crew has experience in their particular role and a collective vision in mind for this fun piece of cinema. Our minimum target will cover the basic costs we need to get 'The Situation' made. This includes building and designing a set, as well as catering (since a well fed team is always a happy team!). The set is a major part of this film and is unfortunately very expensive to build, which is why we need your help and generosity. This is because the size of a set compared to a real life space is much larger and therefore requires a lot of flats (1.2m wide, 3m high slabs of wood constructed to make the walls) to accurately reflect professional sets found in TV studios. Further to this we need to factor in costs of decorating the set to ensure it looks like someone could realistically live there, including furniture, flooring, and paint for the walls. We're excited to take on this challenge that, with your help, ultimately brings the sitcom element to life! If we hit our fundraising target, it will allow us to contribute to actors expenses and pay them since they do such a wonderful job! We'll also be able to create a more immersive set design to engage the audience within the sitcom world. And finally, we'll have contingency money as a back up if anything goes awry. As a thank you for contributing to this exciting project, we've got some great rewards up for grabs which you'll be able to see at the side. These include signed copies of the script, shout outs on social media, and even a chance to be in the studio audience of the sitcom! 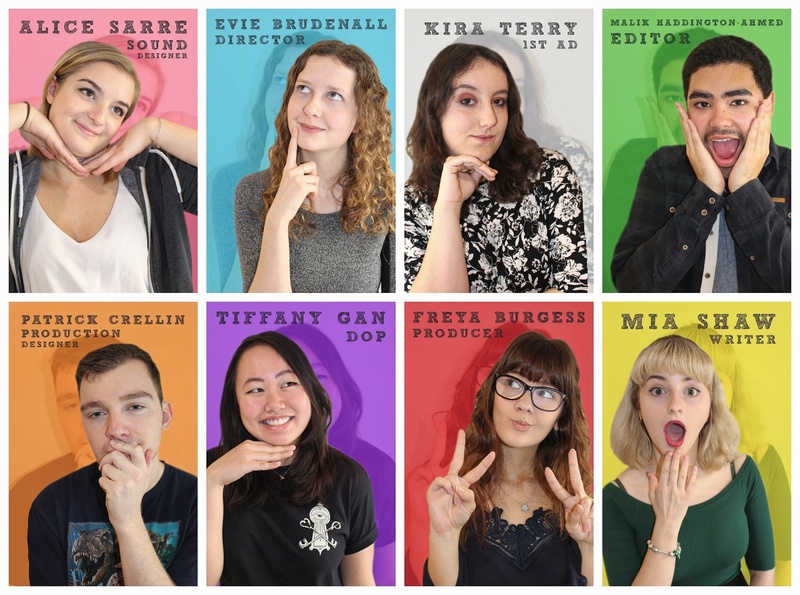 Follow us on social media to keep up to date with the production from development to distribution! We'd love it if you could help us by donating to our project, however that's not the only way you can help! Please do spread the word and share with as many people as you can. Whether it be your neighbours, family, or all your friends on Facebook. We need as much help as we can in getting this film made and would love for you to be a part of it. If you donate £5 then we'd love to give you a shout out on social media as a special thanks for helping to get us towards our fundraising goal. As a thank you for donating £10 we'll send you a personalised e-card along with a thank you on social media. If you're willing to donate £25 to our project then we'd love for you to see the finished film. We'll send you a digital copy of it, alongside all of the above. By donating £50 you'll be able to be a part of the film; getting either your name, photo, or your own personalised message on the pin board in Todd's flat! On top of that, our very own writer, Mia, will draw a caricature of you and send this via email, along with all of the above. If you donate £75 to our project, we're really keen to not only give you a thank you in the end credits of the film, but also send you a DVD copy, as well as all of the above! By donating £100 you'll get to be in the studio audience of the sitcom, and therefore be on set for the day! Not only that, but we'll even send you a cast and crew signed copy of the script, along with all of the above. (Studio audience participation dependent on requirements of script. This will be confirmed in mid-January. Travel and expenses for filming day not covered). If you donate £150 we'd love for you to watch the finished film in all of its glory. Therefore, we'll be inviting you to a private screening at The University of York's very own Holbeck Cinema! You will also receive all of the above. (Travel and expenses for screening not covered).